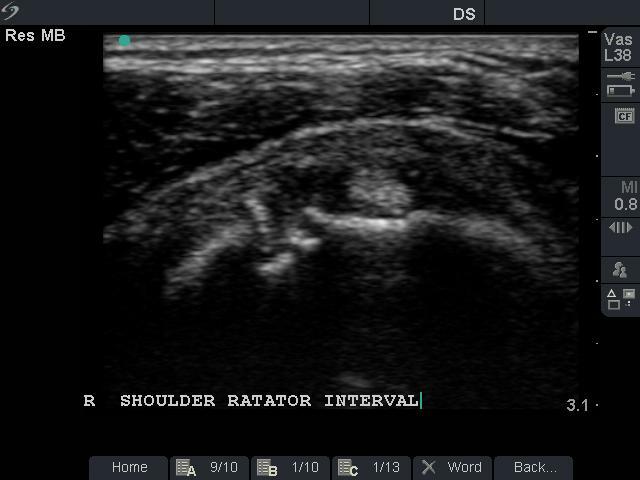 injured the shoulder lifting boxes in her attic up and away from her body laterally. 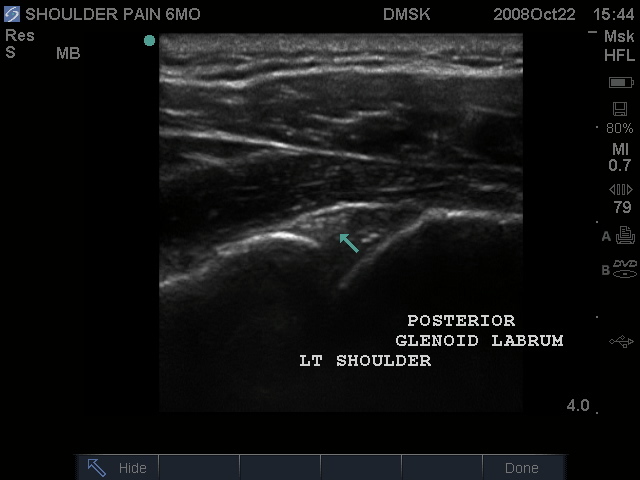 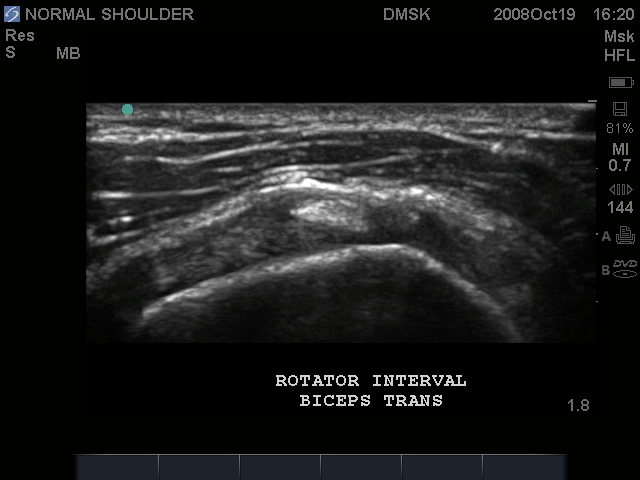 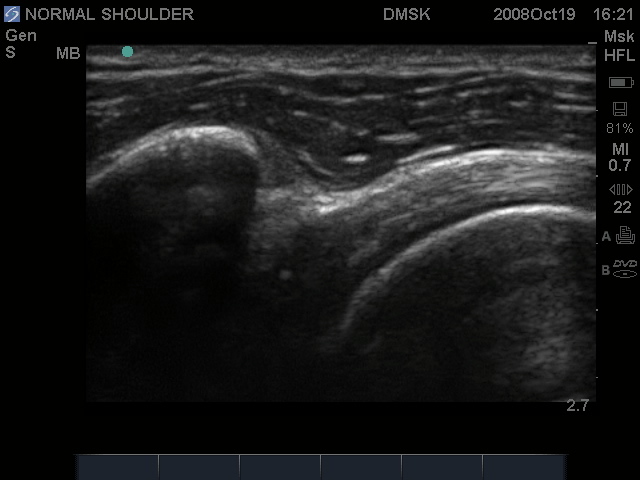 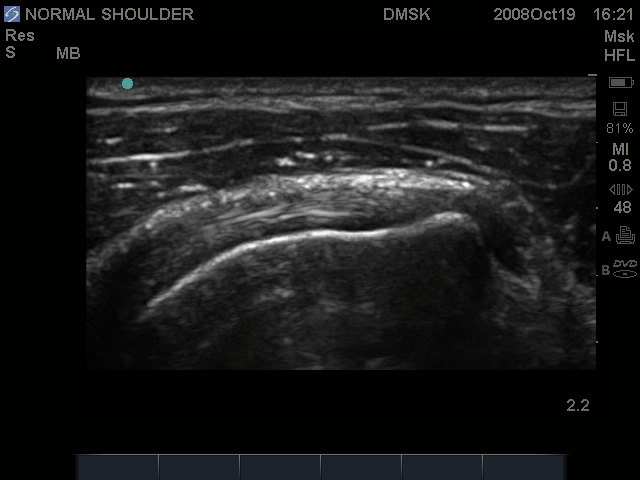 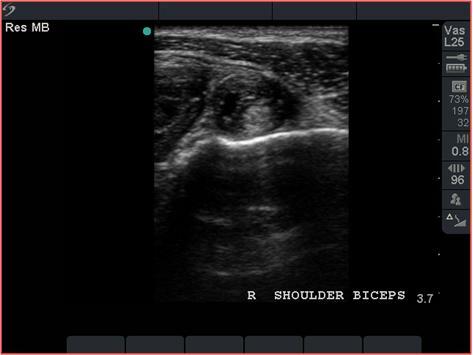 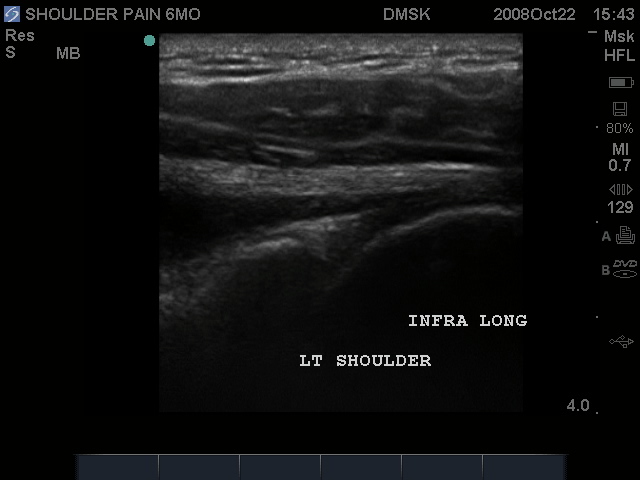 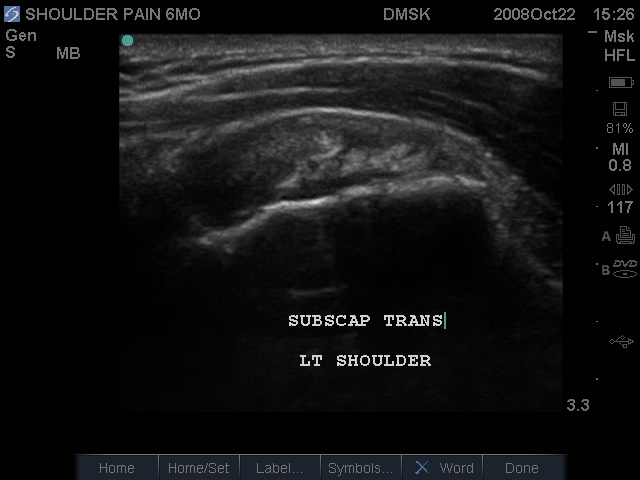 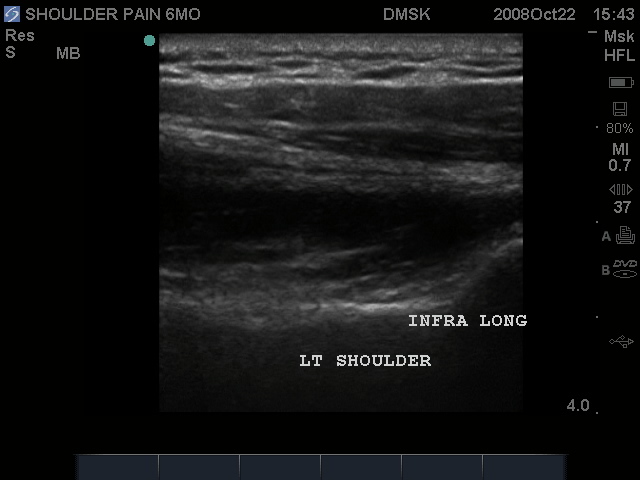 Below: normal asymptomatic shoulder images on the left; the case described above are associated on the right. 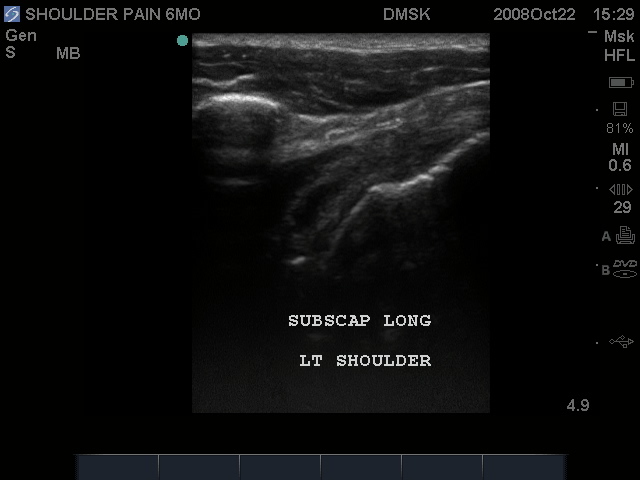 to show pathology, but the slight variations that can be seen from patient to patient. 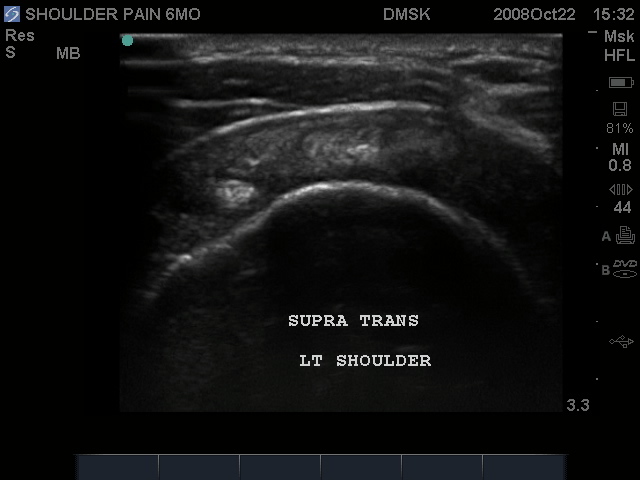 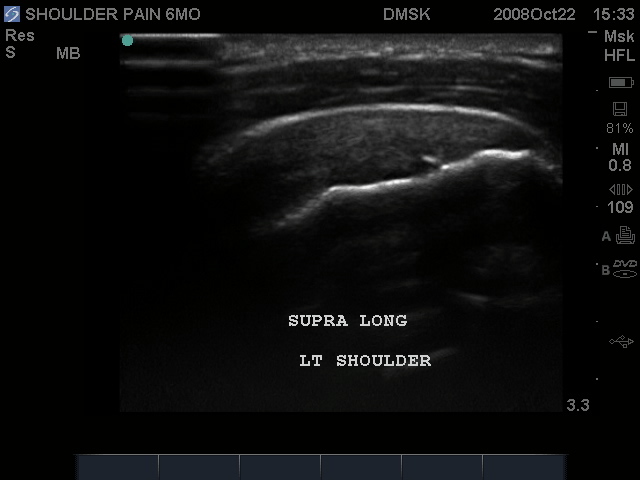 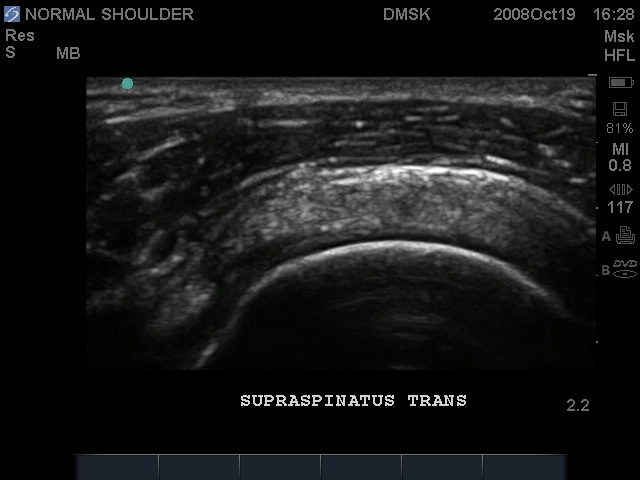 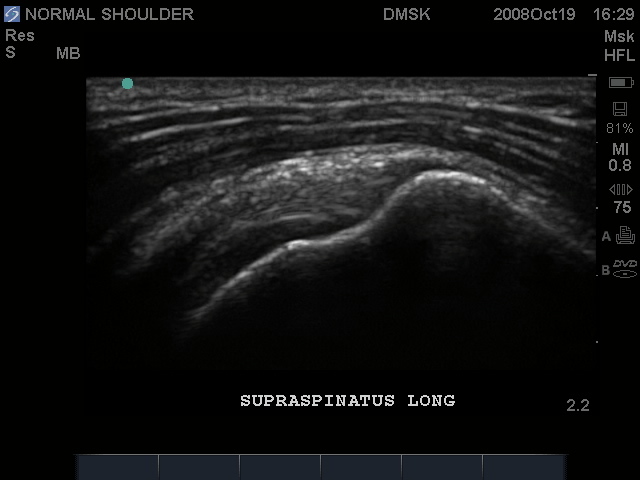 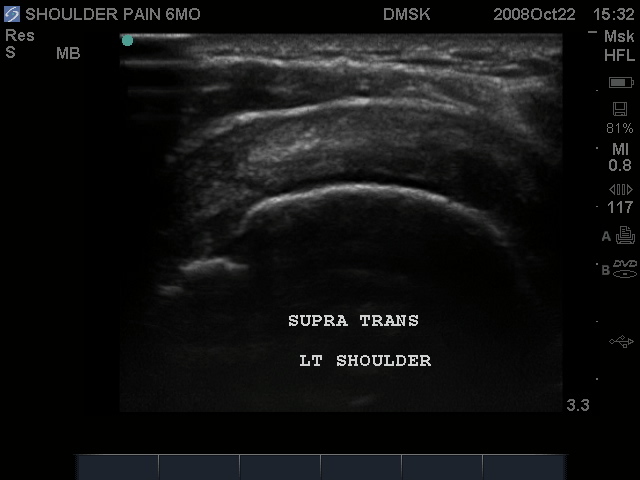 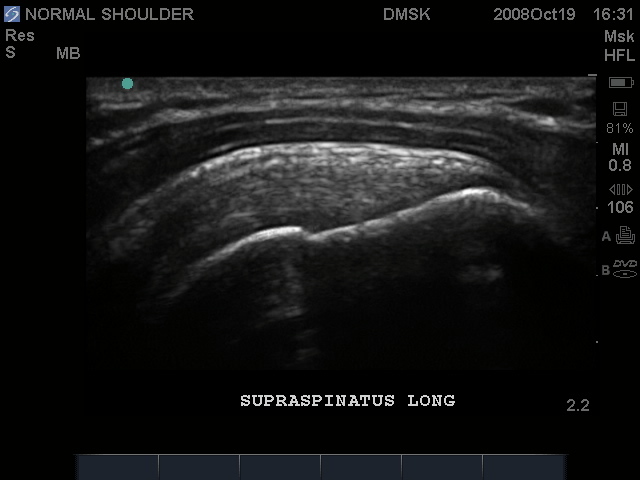 ABOVE: Anterior Suraspinatus partial tear. 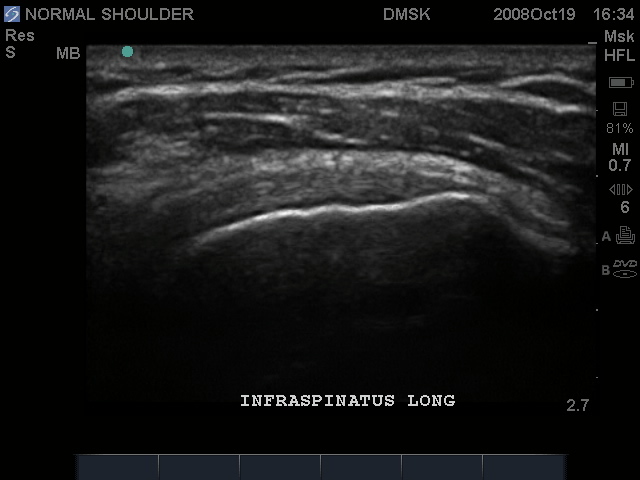 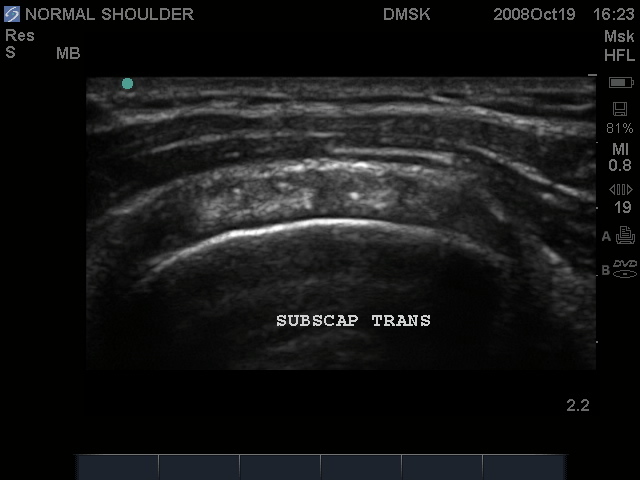 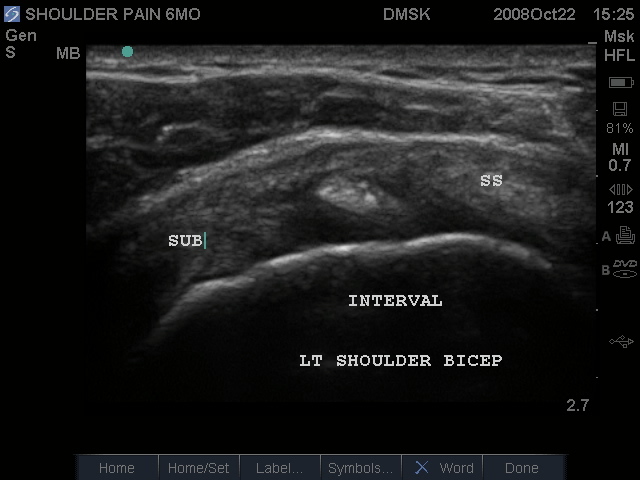 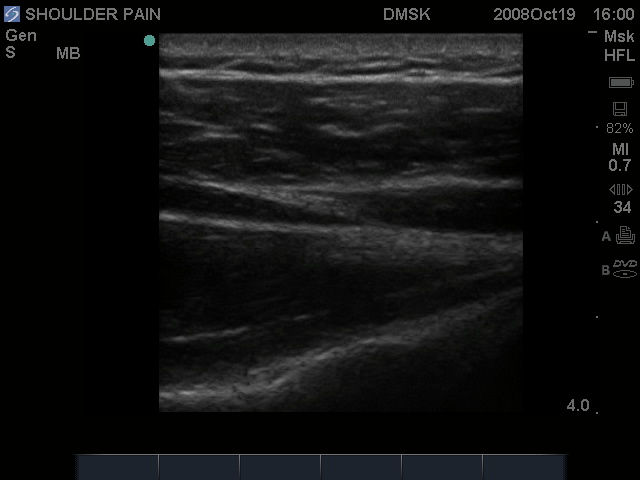 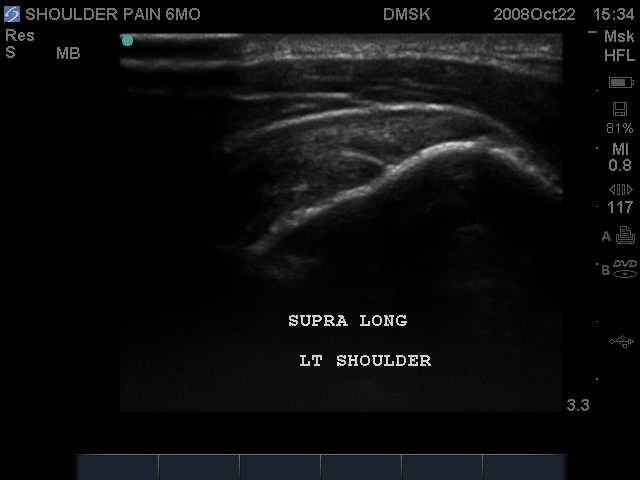 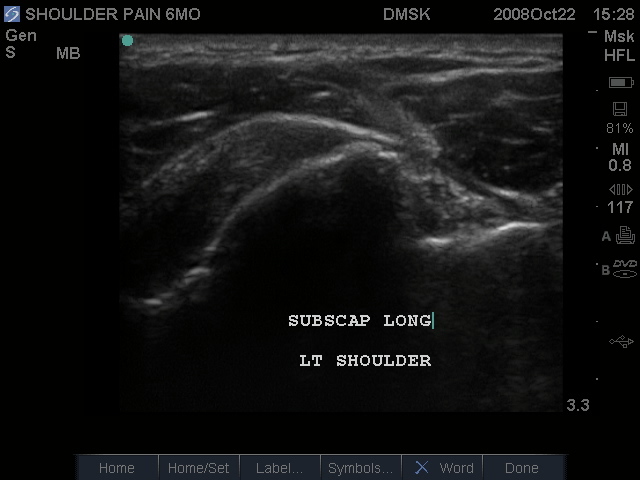 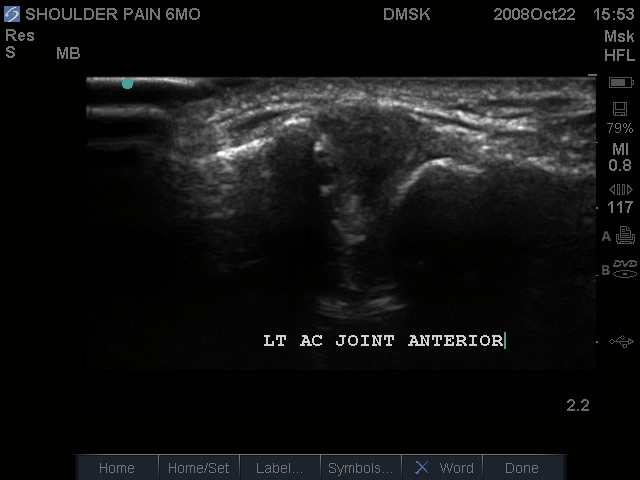 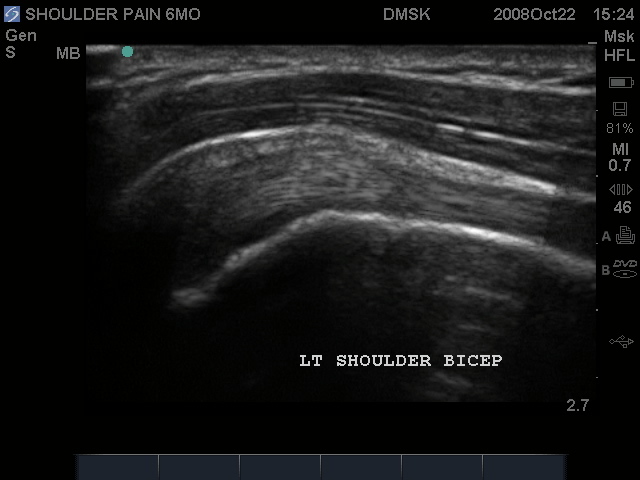 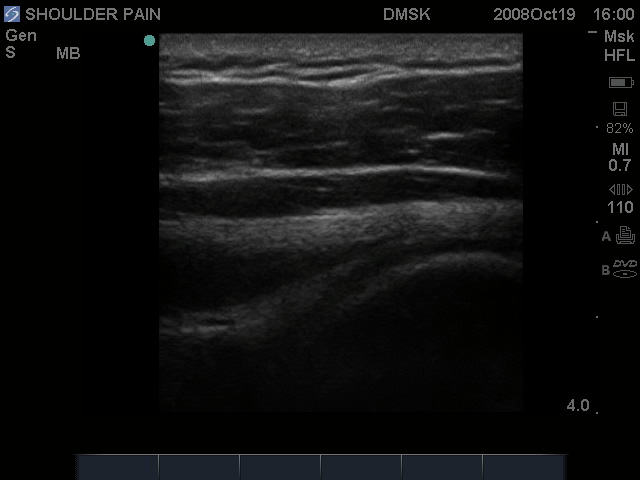 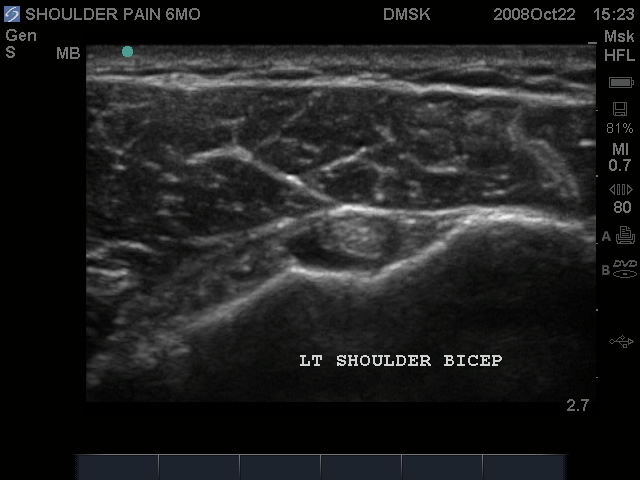 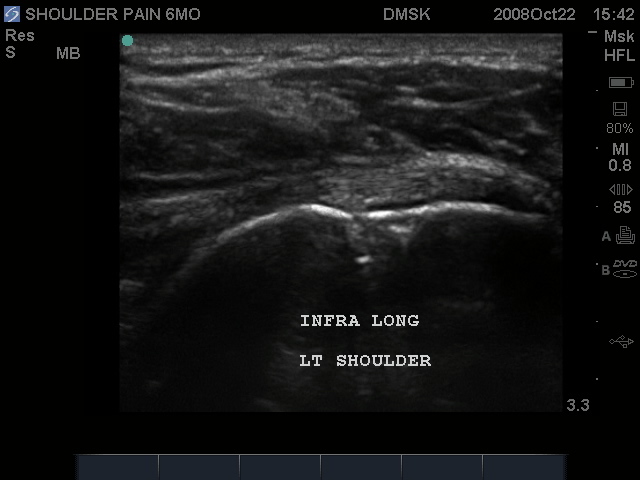 The above cases are not the same patient, but similar tendonopathy. 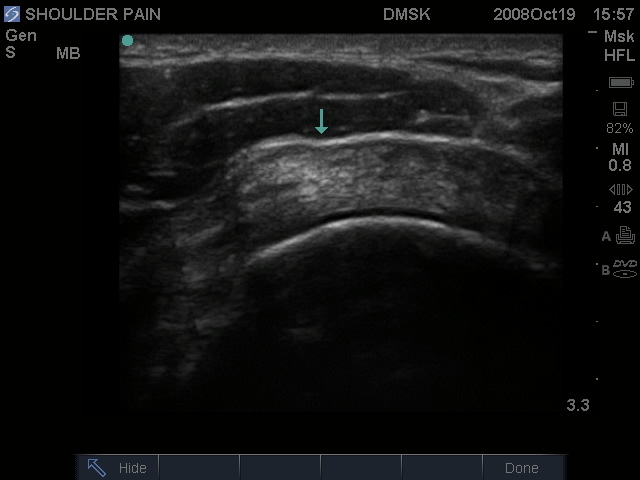 to better demonstrate the same tendon direction). 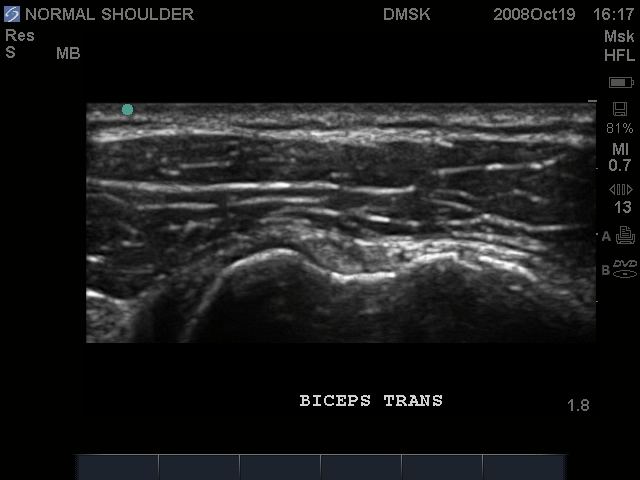 long axis bicep is seen. 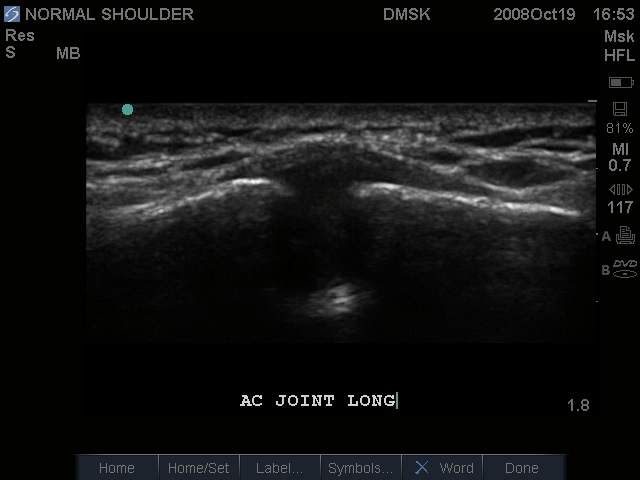 instead of flat over the joint.